Ride a reindeer up and down and all around! 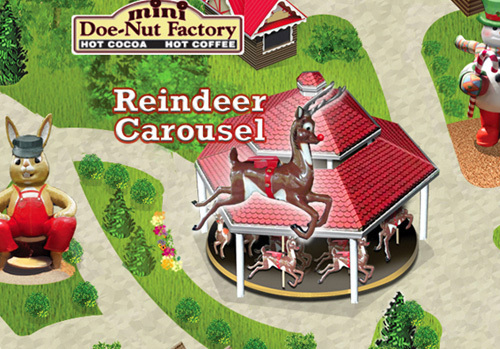 This reindeer carousel has lots of fun built in. Children must be able to sit up and hold on by themselves to ride on reindeer; adults can stand and assist small children. Infants must be held by an adult while seated on one of the benches. Children of all ages may ride with a responsible companion of at least age 16. MINIMUM HEIGHT 42″ TO RIDE ALONE.